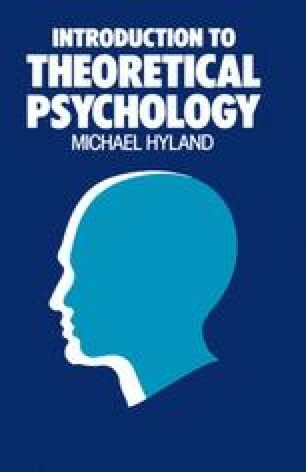 The previous chapters have been concerned on the whole with the content or descriptive words of psychological theories. In these chapters a distinction was made between observable concepts such as the situation and behaviour and theoretical concepts which could either be intervening variables or ‘hypothetical constructs’. Hypothetical constructs themselves are of three kinds, physiological, mentalistic and mechanistic. Hypothetical constructs of different kinds are sometimes identified. Identification is just one way in which descriptive concepts are related. In this chapter another sort of relation will be examined, causal relations.